I am here again with an easy appetizer. December is usually festive. Whole month is filled with different events and celebrations, planning and attending numerous parties and so on. 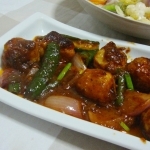 Even at home, we feel like having some special food. So, here is a simple idea from me. 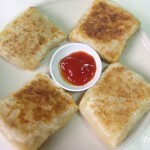 If you look for healthy appetizer, you can try this as there is no oil included for preparation. Also, having a small piece of cheese won’t harm you. 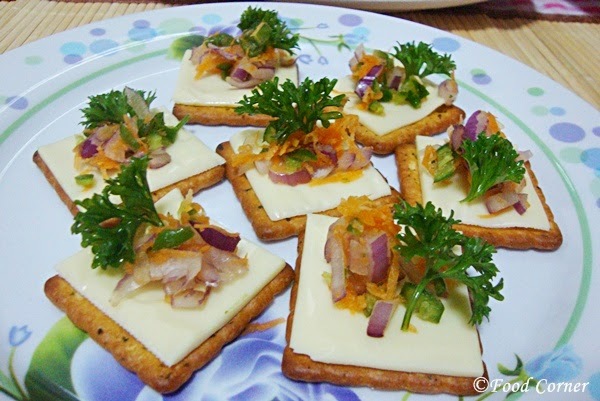 In a lazy evening I prepared this easy finger food with some savoury cracker and cheese slices. Also I used some mixed vegetables and cheesy dressing. I hope this is a good and easy finger food suggestion for a family gathering or a work function. In a bowl, mix carrot, green chili and onion. Add a dash of salt. Place crackers in a plate. Lay a slice of cheese on top of the crackers. 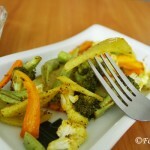 Then place a tea spoon of the vegetable mix on top of cheese slices. 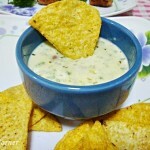 Add a teaspoon of cheesy dip too. Do you like quick appetizers like this? 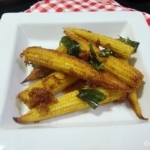 Hi Amila, this appetizer look very addictive, guess hard to stop eating. Great for parties too. Yours look really nice, 2 thumbs up for you. 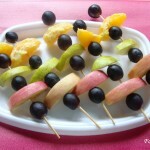 Simple yet the most inviting and easy to put together finger food. Anything with cheese makes me wobble. Very Tasty and Love the Clicks! This would be a party retreat for Kids as well! 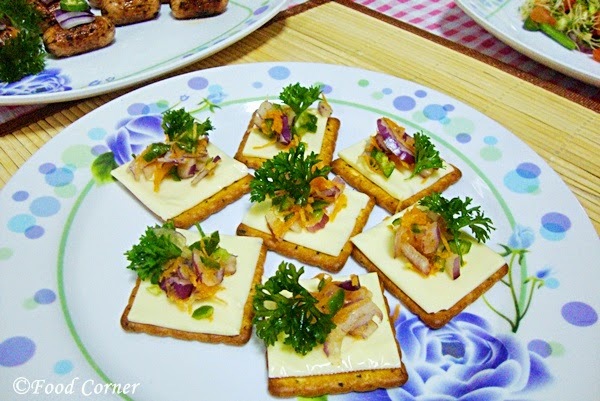 Lovely appetizers…… Very good and quick option for parties….